We all know that Grady is a huge golfer. But did you know that he has played among some of golf’s greats, including Phil Mickelson, Justin Leonard and David Duval? He’s played in three U.S. Amateur competitions with Tiger Woods. Although they weren’t actually playing against one another, according to the scorecard, you could say that Grady beat Tiger! 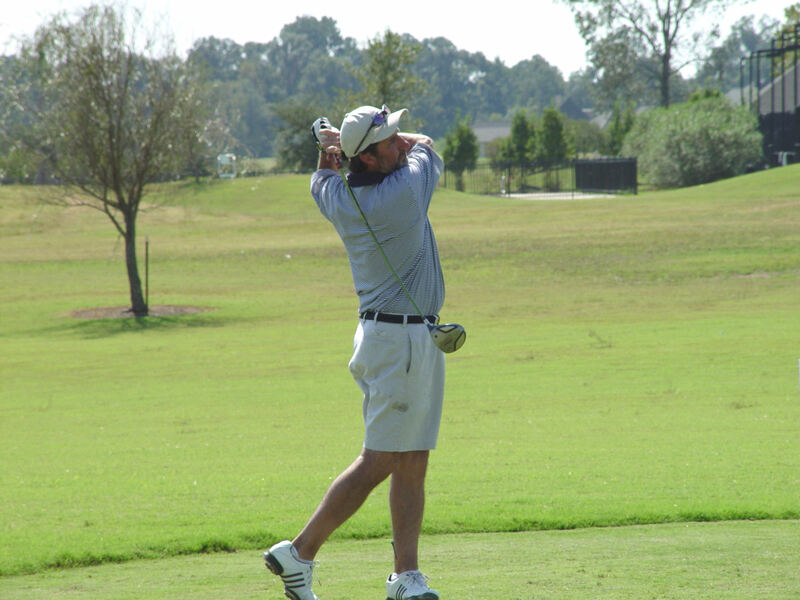 Grady has played amateur golf around the country and says “the more success you have, the more opportunities you will receive.” He believes much of what he has learned on the golf course is applicable to the commercial real estate (CRE) industry. So we thought it would be fun to sit down with him to get a little insight on both. Where does your passion about golf & real estate come from? Grady’s attraction to golf is fueled by the thrill of competition and the determination to get better. That same logic drives his love for real estate, and got him started in the industry. In your opinion, how are golf & commercial real estate similar? They are both competitive. I compete on the golf course to win, and I compete at the office to make a project or a real estate deal successful. In golf, you’re competing against fellow golfers, yourself and the course. In CRE, you compete against other developers contending for the best sites and negotiating with tenants on leases to get the best deal to make a project prosperous. In golf and CRE, the outcomes—or score—will tell you if you’re on the right track. At Stirling Properties, we separate ourselves from the competition by continually striving to improve. 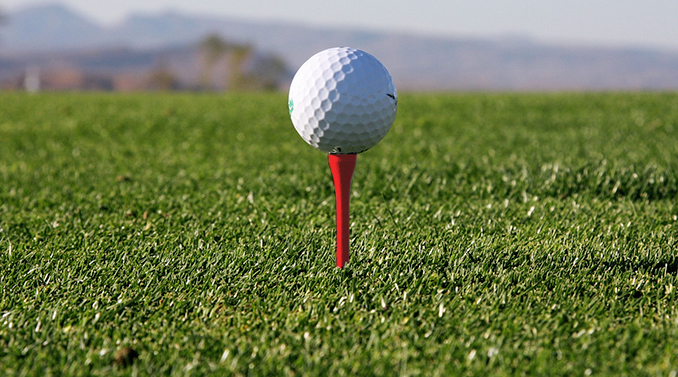 What golf etiquette can you apply to commercial real estate? Managing Expectations: I consistently see golfers on the course expecting to beat their last score, or play better than their handicap on every hole. They set unrealistic expectations, and are usually disappointed. We always want to be the winner and put our best forward, but we need to remember not to oversell our position for investors, employees or lenders. People rely on us for projections and budgets. Predicting the future with absolute accuracy is like hitting a hole-in-one. But we have a great team in place that has been able to manage the process without overselling or setting unrealistic expectations. Mastering the Fundamentals: Sports psychologist, Dr. Bob Rotella noted, “A golfer has to train his swing on the practice tee, then trust it on the course.” Stirling Properties has stayed relevant and ahead of the competition for more than 40 years, because we are good at what we do. We trust our skills and instincts. We extensively evaluate every project at hand for the best possible outcomes. Sometimes, it’s about quality, not quantity. Control the Controllable: We will never have absolute control. In golf, there will always be the threat of wind, an ill-fated bounce or some little imperfection on the course that we have no control over. The same is true in CRE. You have to be adaptable. Do your best to manage what you can’t control, but build in contingencies for projects or deals so that if you do have a bump in the course, the deal can still work. Any advice for young people entering the CRE industry? For anyone new to Stirling Properties—or the industry—my first suggestion is to listen and learn. You can learn a lot more from listening to others than talking on your own. You can acquire much from the people that have experience in this industry, both how to succeed and how to fail. Learn from their triumphs and mistakes! A lot of professional golfers have an entourage of coaches and experts helping them to perform.